From the US presidential contest to the EU referendum, it's an exciting time of year for punters interested in political betting. 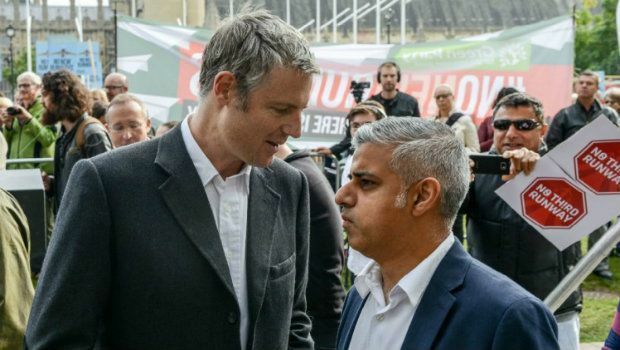 The latest market to open is the race to win the office of London Mayor, with Paddy Power Sports covering the winning candidate and party – any interested punters need to place their bets by 5 May 2016. In the run-up to the election, Paddy Power Sports has priced Labour Party member Sadiq Khan as the odds-on favourite at 1/4. After growing up on a London housing estate, Khan rose from humble beginnings to reach the Labour frontbench, becoming one of the first Muslims to attain the honour. Central to his campaign is the promise to build 80,000 affordable homes each year. Further back at 11/4 is Conservative Party member Zac Goldsmith, who has served as MP for Richmond Park and North Kingston since 2010. Before pledging his candidacy for mayor, Goldsmith sought and received the approval of his constituents in a referendum. Following the successful outcome, he pledged to make London a “safer, greener, happier, more prosperous, united city”. “Those who rule us built this monstrous extremism”. Below Galloway, there is a major step down to Liberal Democrat candidate Caroline Pidgeon at 100/1, who was unopposed in her party when the other prospect joined the police instead. After Pidgeon comes UKIP member Peter Whittle at 150/1, while Green Party councillor Siân Berry is also available at those odds. Another priced at 150/1 is Danish native Sandi Toksvig, who is more commonly known for her UK broadcasting work on TV and radio. She was first viewed as prospect when the Women’s Equality Party co-founder said she "couldn’t be worse than Boris" back in June 2015. Although dismissing the prospect and not being listed as a candidate by her party, Paddy Power Sports has not closed the door on Toksvig. Paddy Power is also taking bets on the winning party, but the prospective odds mirror those of their candidates. Labour and Khan are 1/4, the Conservatives and Goldsmith are 11/4 and the Lib Dems and Pidgeon are 100/1, while any other party is 33/1. Nevertheless, it's another opportunity to try and make a winning bet. The eventual winner will succeed current London Mayor Boris Johnson, who is forgoing a third term to concentrate on his role as MP. Johnson won the seat for Uxbridge and South Ruislip in May 2015, a constituency situated in West London, leading to speculation he would step down early. Despite the added pressure, Johnson has continued in both roles, but prospective candidates were aware in October 2015 he would not run for mayor the following May. Since then, not much has changed, with Khan and Goldsmith remaining as the prime candidates for their respective parties. For all current London mayoral odds, visit Paddy Power Sports today!